Negotiations with the exiled Charles II in March 1660 resulted in the Declaration of Breda, in which the king promised a general pardon for those that had participated in the war, a degree of religious toleration, acceptance of the supremacy of Parliament and the settlement of soldiers’ pay. On 8 May 1660, Charles II was formally proclaimed King in London. He landed at Dover on 25 May and arrived in London on 29 May, his 30th birthday. The general pardon excluded those deemed guilty of regicide – killing his father, Charles I. Those still living were hunted down: some were gruesomely executed, some imprisoned, others fled into exile. The body of Oliver Cromwell, and the corpses of other dead prominent parliamentarians, were exumed, posthumously hanged and decapitated, their heads exhibited on poles and their bodies thrown into an anonymous pit. But for most people, the Restoration was an opportunity for reconciliation and was greeted with enthusiastic delight. The personality of the ‘merrie monarch’, debonair, extrovert, extravagant and highly promiscuous, is stamped all over his reign, contrasting with the apparent greyness and uncertainty of the previous two decades. Charles II supported the new Royal Society, whose illustrious members included Isaac Newton, Christopher Wren and Robert Boyle. But it wasn’t all fun and games. 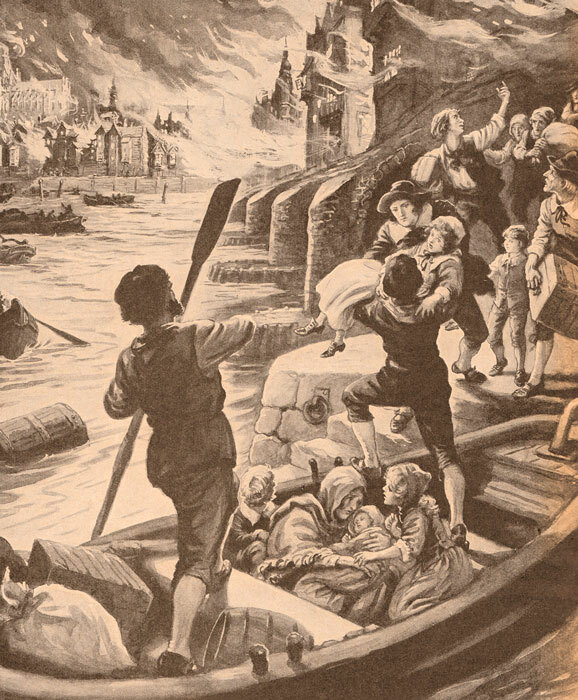 War with the Dutch, who burned 13 ships in Chatham harbour and towed away the Navy’s flagship, Royal Charles, provided a catalyst for major naval reforms, responsibly managed by one Samuel Pepys – probably better known for his diary. The Great Plague of 1665 was devastating – an estimated 100,000 died in London, though the horror was by no means contained there. This was followed in London by the Great Fire the following year, which largely destroyed the medieval city and changed the capital for ever. Religion still dominated affairs. Charles was inclined to be tolerant of Catholics – and actually converted on his death-bed. However, in 1673, Parliament passed the Test Act, banning Catholics from public office. Anti-Catholic hysteria, never far beneath the surface, was whipped to a frenzy by the false claims of an unsavoury con-artist with the natty name of Titus Oates. His fictional ‘Popish Plot’ of 1678 warned of a conspiracy to replace Charles with his Roman Catholic brother, James, the Duke of York, and of arson attacks on London. At around this time, political factions began to emerge – forerunners of modern political parties: Tories – broadly royalist in sympathies – and Whigs – generally protestant or anti-Catholic parliamentarians – were originally mutually abusive terms, and extensions of the lines drawn in the Civil War. 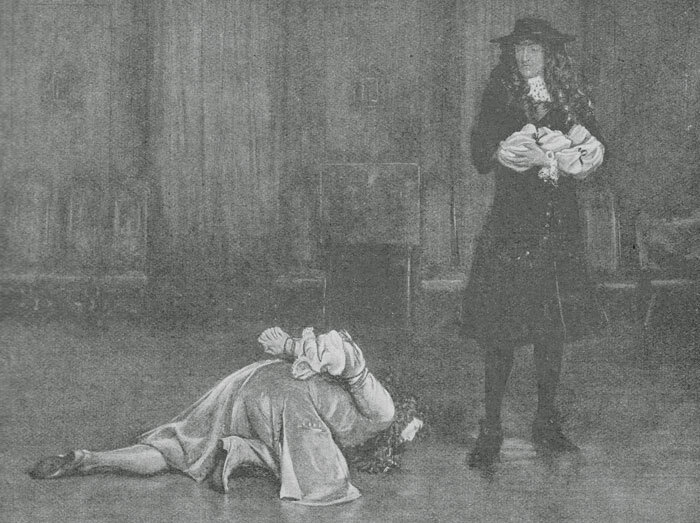 Oates’ false accusations resulted in the arrest and deaths of many innocent Catholics – he was later imprisoned by James II, but released and given a pension by WilliamandMary (see William and Mary). 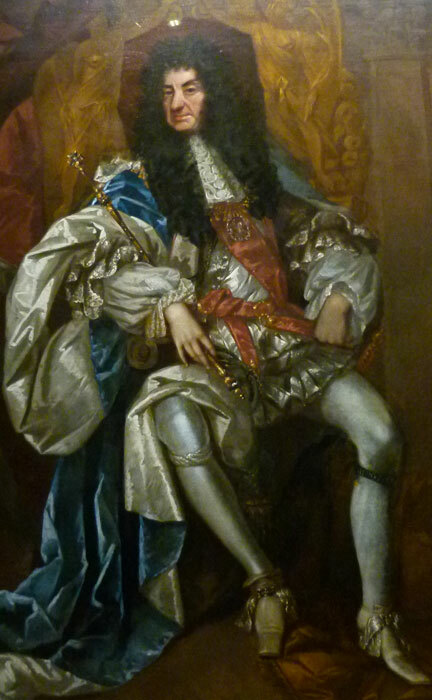 Because Charles had no legitimate heirs (though he apparently had plenty of illegitimate ones), when he died in February 1685 his brother, the openly Catholic James, succeeded him to the throne as James II of England and VII of Scotland. James had had a successful public life as the Duke of York since the Restoration, busying himself with naval and colonial matters – and winning admiration for helping to personally lead the fight against the Great Fire of London in 1666. In 1664, New York was named after him – not after the city in Yorkshire, as is often believed. However, James’s succession to the throne was regarded with considerable suspicion by some Protestants, who regarded him, with justification, as naturally pro-Catholic and possibly pro-French. In June 1685, the Duke of Monmouth, the oldest illegitimate son of Charles II, born to his mistress Lucy Walter, landed at Lyme Regis with just 82 followers, hoping to rally Protestants to his cause and depose his uncle. Although Monmouth gathered some support from the West Country, the Monmouth Rebellion ended in tears at the Battle of Sedgemoor in Somerset on 6 July 1685, where the Duke’s largely peasant army was easily defeated by the better-led government regulars. Hundreds of Monmouth’s followers were sent to trial at the so-called ‘Bloody Assizes’ under the stewardship of Judge Jeffries, and subsequently hanged or deported to the West Indies – a reaction which disgusted even some of the King’s supporters. Monmouth himself was captured and, despite Uncle James granting him a personal audience, was beheaded at Tower Hill on 15 July. It is said that Jack Ketch, the executioner, botched the job and it took several blows of the axe to sever poor Monmouth’s head. 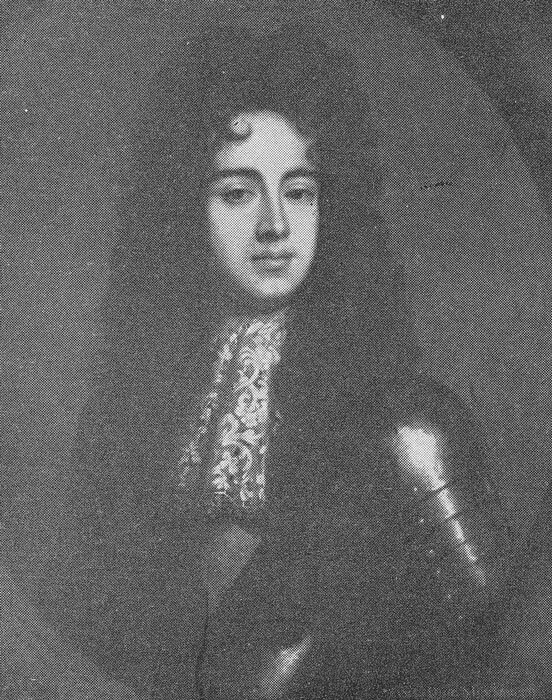 There is also a legend – disputed – that Monmouth’s portrait was painted after his death; if so, he looked surprisingly good in it, all things considered. James married his first wife, Anne Hyde, in 1660, but she died in 1671. In 1688, James’s second wife, the Catholic Mary of Modena, gave birth to a son and heir, James Francis Edward Stuart. This was a step too far for many Protestants. Conversations had already taken place between leading Whigs, fearful of ‘Popery’, and the Protestant William of Orange – Charles I’s Dutch grandson, married to Mary, James II’s oldest daughter by Anne Hyde. Mary had been heir to the throne before the arrival of the new baby boy. A group of peers, encouraged by William, wrote to him claiming that ‘nineteen parts of twenty people’ wanted to change their monarch. That may or may not have been true, but the prospect of another Catholic on the throne of Britain, and possibly even a Franco-British alliance, was the last thing Protestant Holland needed anyway; William planned to invade. Miraculously slipping past the Royal Navy with his invasion fleet of some 450 ships, he landed, unopposed, with an army of 40,000 troops at Brixham, in Torbay. His army was well-equipped and included Dutch, Germans, Swiss, Swedes, Lapps and even 200 or so ‘black’ people (presumably, slaves) brought over from Dutch plantations in America. Gradually, William marched this huge force across south-west England to London, with bafflingly little resistance apart from a few skirmishes at centres of influence like Wincanton and Reading. Mary of Modena fled to France with her baby, the young Prince of Wales. After some faffing about, James followed – with William’s connivance. These events secured Torbay’s place in history and the following year William and Mary became joint King and Queen. When doing so, WilliamandMary (as I think we should now call them) accepted the Declaration of Right, passed by Parliament, which declared the arbitrary use of royal power illegal and provided the basis for Britain’s constitutional monarchy – one of the most important events in British history. In a nutshell, this was the so-called ‘Glorious Revolution’ – the last successful invasion of these islands; you can stumble across memorials to it all over the country, sometimes in the oddest places. It changed Britain profoundly. Yet, however popular it may have been, WilliamandMary’s often allegedly ‘bloodless’ coup was technically an invasion by a foreign power which overturned a legitimate monarch. Nor was it bloodless, not least because James still had many supporters – known as ‘Jacobites’ (‘Jacobus‘ is the Latin form of ‘James’) – and they weren’t going quietly. To kick things off, a Jacobite Highland army defeated Government army at Killiekranke in 1689. 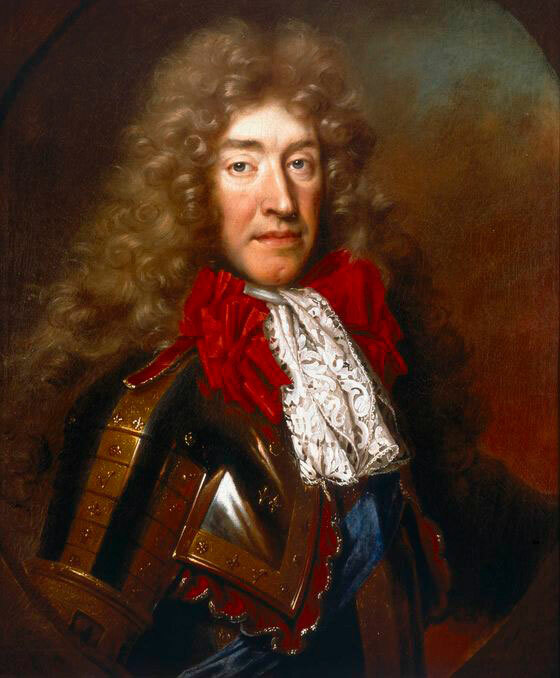 Earlier that year, James II landed in Ireland, with assistance from France, and was acknowledged as king in Dublin. Gathering enormous support, James was soon in effective control of most of the country. However, his Irish-French army was decisively beaten by William at the Battle of the Boyne on 12 July 1690 and Ireland was systematically re-conquered. 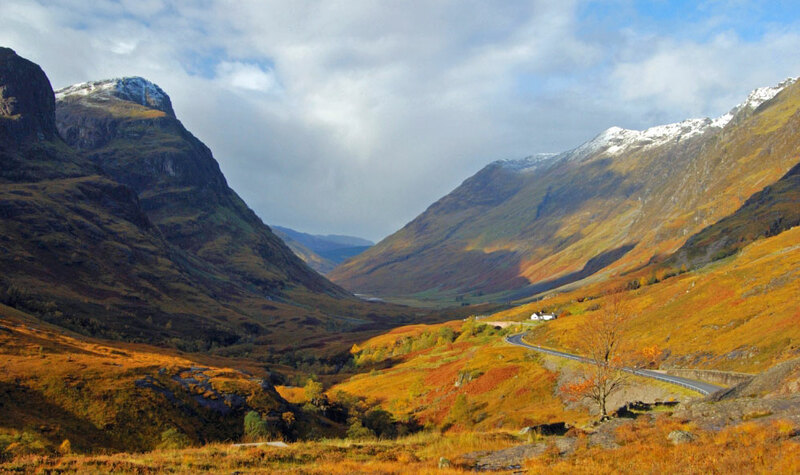 Further dissatisfaction with the succession in the Scottish Highlands also directly led to the Massacre of Glencoe in February 1692, when government soldiers, mainly from the Campbell Clan, treacherously murdered 38 men, women and children of the MacDonalds. More died from exposure in the mountains, having had their homes burned. This is by no means the final chapter of the story spawned by the Glorious Revolution; the Jacobites would be back. Indeed, tensions between some of the more excitable Catholics and Protestants over the past 300 years or so have had further grim consequences in Britain.